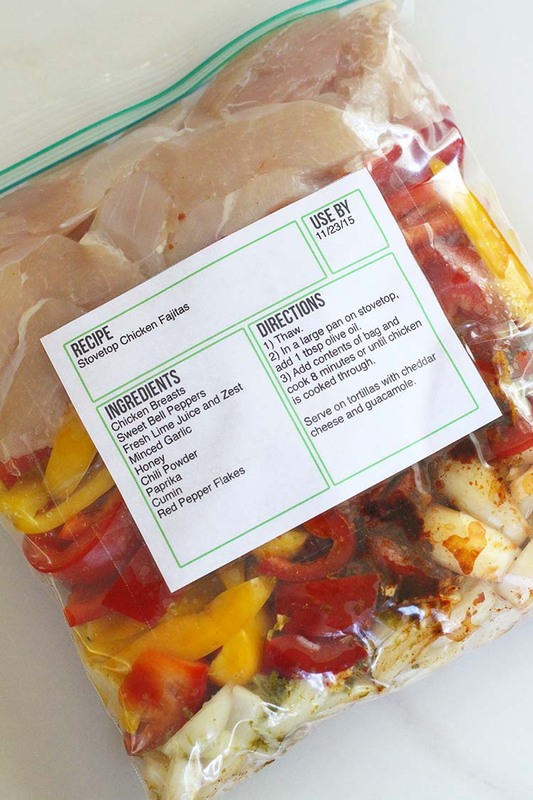 Download free labels you can edit, print, and save to use on your freezer meals. Looking for more? Read more posts about Freebies & Freezer Cooking. « Weight Watchers Magazine for just $4.99 per year! I love the labels but can only get them to download in Pdf format that does not allow me to edit them. Is there a way to download them in a different format? Pdf’s are not edit-able. This is a “fillable” pdf file, which means it can be edited. I LOVE these labels and will use them for my monthly “Meal Swap” group! However, when I typed all the recipe info on them and went to print, only a blank label printed. Can you help me troubleshoot what I might be doing wrong? Thank you SO MUCH for sharing this great label!! Where do you get sticker paper for these lables? Any way to change the use by to fro zen date or prepared date? These are so cute and useful! Thank you so much! Love the labels! Thanks for sharing them. If I’m having guests, I think I will set the labelled bag aside after emptying so guests can check my ingredient list for allergens. Thank you for the freezer label. How do you get colored boxes to print? It only prints in the text in black/white. Thank you. I am in love with these already. Thank you so much for this! It sure saves on writing things in sharpie on the bag! Especially if you are doing more than one meals worth of the same recipe!